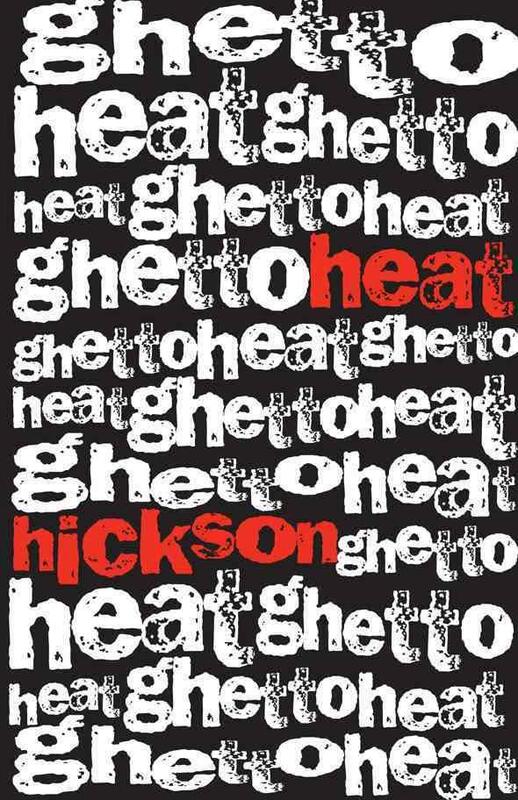 Hickson is CEO and Founder of Ghettoheat. Born and raised in Harlem, he still lives amongst his people. Graduating from the Fashion Institute of Technology in 1998, Hickson received a Bachelors of Science degree in Advertising and Marketing Communications. While attending college full-time, he briefly worked as a free-lance fashion stylist, which soon led to working as a wardrobe coordinator for Audrey Smaltz and the Ground Crew'a backstage management team. There, Hickson was anointed personally by the queen-of-the-catwalk, Naomi Campbell. For five years, Hickson was in charge of coordinating her fast and intricate outfit changes; managing to meticulously dress Naomi amidst the fever, fierceness, and frenzy backstage at major fashion shows. Wanting to get more involved in the creative process of runway shows, Hickson free-lanced as a Production Coordinator for Bureau Betak, a leading special events/fashion show production company; best known for creating innovative concepts and producing avant-garde shows for fashion designers worldwide. With September 11th having a tremendous impact on his life, values and focus, Hickson began writing poetry as an outlet; expressing himself freely on paper while dealing with his own personal struggles. The creative writing evolved into the conception of his debut book, Ghettoheat, which Hickson never intended to print; until his best friend read excerpts of his work—encouraging Hickson to publish his poems immediately. 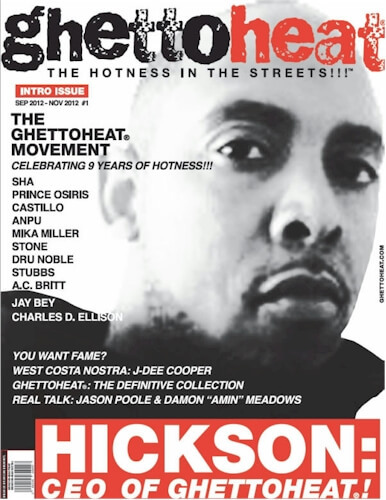 Hunger and passion drove Hickson into becoming an entrepreneur creating Ghettoheat on June 4th 2003, focusing on self-publishing, distributing and marketing his own works; with intentions of publishing other talented authors. Hickson“s vision is to produce quality works, with his favorite subjects being his people—the inner-city voices of ghetto-America. Tell us how much you like Hickson.